Hi guys, this post is a really exciting one! 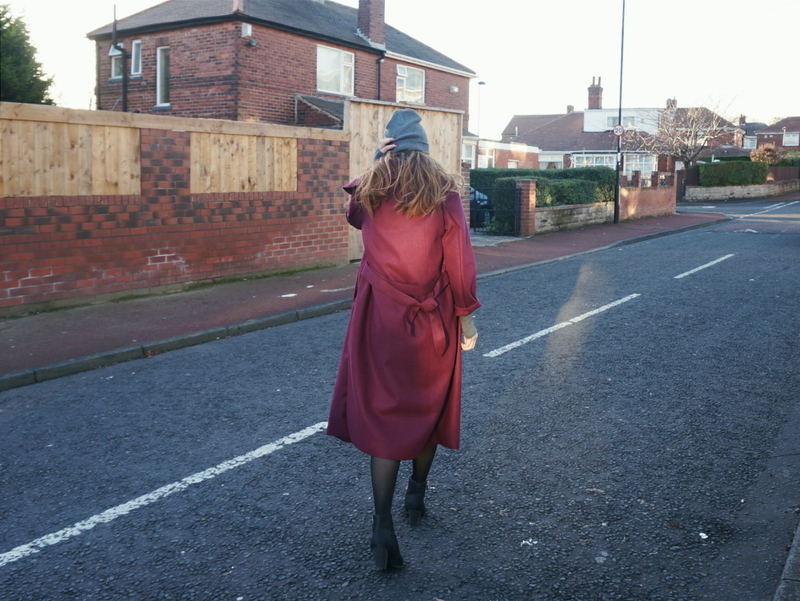 In the past month I have been purchasing less clothing items compared to other months as seen in THE WARDROBE EDIT #4. We are getting closer and closer to Christmas now, and it's time to start Christmas shopping for family and friends (for those who celebrate this season) therefore saving pennies. I was challenged by Boohoo to create a under £40 Winter Warmer Challenge, which is an incredible idea, you don't need to spend loads of £$ in order to look good or keep warm. For this challenge I picked out 3 items. My number one item that I picked out is a boyfriend beanie*, I've always said that I have a pea head, although I love hats so much I can never wear hats like fedoras or bowler hats, because the wind just blows it right off. A beanie clings to your head so no more hat chasing down the street and allows me step out of my comfort zone and experiment more. It also prevents head cold and is great to cover bad hair days. The second item is high neck midi dress*. The reason I picked a high neck dress is to keep the neck covereed (obviously) - I have a quite long neck so the cold attacks my neck first, high neck also means you can skip the scarf and still stay cozy, the length of the dress also helps keep out the cold. I chose a grey colour to compliment my beanie. 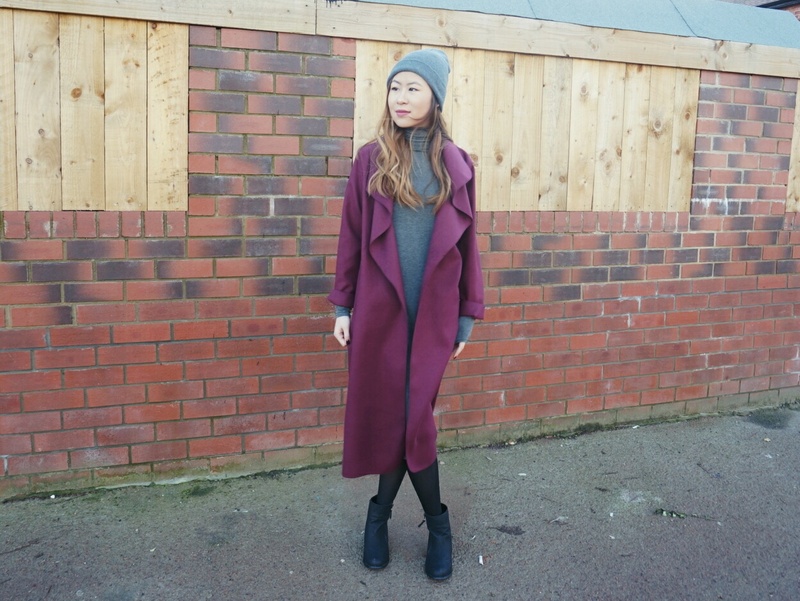 Lastly was the shawl collar coat*, I spent ages mulling over which one I should get, My friends always say I don't wear enough colour, and this coat injects a lot of life into my wardrobe, the collar is one of my favourite details of the coat as, you can adjust where you want the collar to fall. Another detail I love about the coat is the length, I love longline silhouette in any coat/jacket, it seems like you have a trail wherever you go!. If you had £40 to spend at Boohoo, what would your most important picks be? ooooh this outfit is really cute and looks warm! I want to try a pair of Boohoo jeans. Love the coat! I have a similiar one in camel (and black)! foxonthehunt.com - new Ralph Lauren competition live! What a cosy outfit lovely ! You look adorable and the colour of that coat is stunning ! Love the whole look so much !